Wish I lived in Flint. Looks yummy. Every time you mention Ba Doy Ow I start to drool. I live in California and even though we have every national food known to man represented here we don’t have anything like Ba Doy Ow. It sounds wonderful. Wish I lived a little closer to Michigan! I always so enjoy your blog and especially when Madison is featured- he’s one of my favorite dogs. And of course, you are one of my favorite quilters! We love boa’s (pork or chicken buns). Coming from the San Francisco Bay area we were very familiar with them. One shop in SF Chinatown has huge ones with pork, chicken, etc. along with an hard boiled egg. Some of the boa’s are baked and some steamed. We buy them when we get out to CA, freeze them and bring them back to TN. You’re a hoot–glad you destroyed the evidence! I wish I weren’t 2000 miles away!! I so wish I could join you there for the Bao–your descriptions make my mouth water and amp the desire for a new dining experience. So, since I can’t go there, I forwarded your blog to several Flint-area friends and relatives and encouraged them to try the Bao and other food in my place. Best I could do considering the 2,100 miles that separate me from Flint and friends/family. O Ami… you are like the funniest person I know! Sorry that I don’t live near Flint although I am closer than I used to be! I attended a couple of your classes for Lakeview Quilters Guild near Johnson Space Center, Houston..now I am back in my home town in Southern Illinois. If I ever make it north to Flint I will definitely try this place cause it looks delicious! I’m dyin’ here Ami! My mouth is about to wet me down completely…. I lost my favorite Chinese restaurant when Ma sold Fung Lim in Oak Park. I may have to take a drive up to Flint just to eat….. Yum! Sounds delightful! I think I’ll suggest the oriental buffet for dinner tonight (they finally installed a counter where you can have your choice of items stir-fried or grilled. And their dim sum – heavenly!) Sadly, it’s nowhere near Flint, MI. Sounds wonderful!! Guess I will have to take a trip to Flint once the snow stops!! Thanks for the info Ami!! This almost makes me wish I lived in Michigan! LOL! I just read this whole thing to Nate and he asked where Ba Doy Ow was located. He’s starting his first quilt today…. ha ha ha! Can’t wait to visit you in June so you can take me there. I was through Flint yesterday, and couldn’t remember the name of the restaurant – ARGH! Maybe next time through I’ll have to call you if I still don’t remember…. oh, and I’ll make sure I’ve got a quilt! 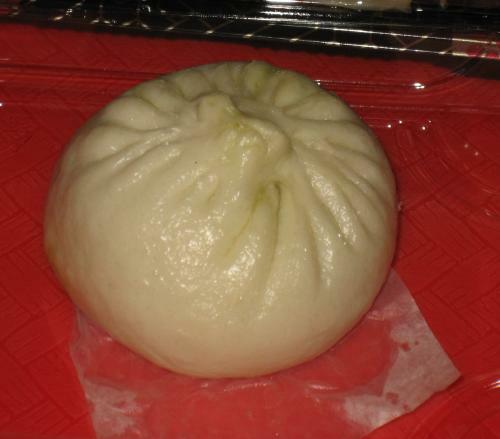 In the Seattle area, we have hum bao. I did not realize that there were all those other kinds! We have gazillions of great restaurants and lots of quilty shops and friendly quilters. So come on out and see us! Thanks for introducing me to Ba Doy Ow! I’ve been there several times since I read your blog, but not in the last month – until yesterday, her last day of business. I want to express my appreciation but didn’t catch her facebook address while I was there. Do you know it? I too, was disappointed to walk upto an empty Ba Doy Ow location. I would like her FB information also. I hope that she reopens at another location.